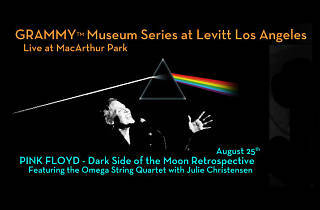 Photograph: Courtesy Levitt Pavilions Dark Side of the Moon Retrospective. 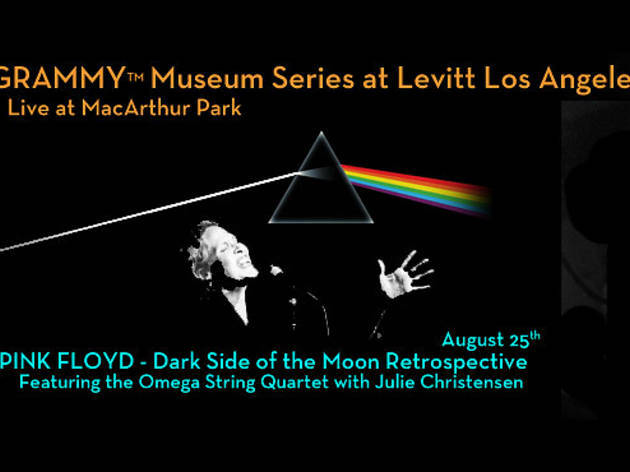 Pink Floyd's progressive rock colossus, Dark Side of the Moon, reached its 40th anniversary this year, and to celebrate the Levitt Pavilion in MacArthur Park is hosting a classical tribute to the album by the Omega String Quartet and Julie Christensen. It's even rumored that the light show, Single Wing Turquoise Bird, that played behind the band in its heyday may make a reprise for the show.